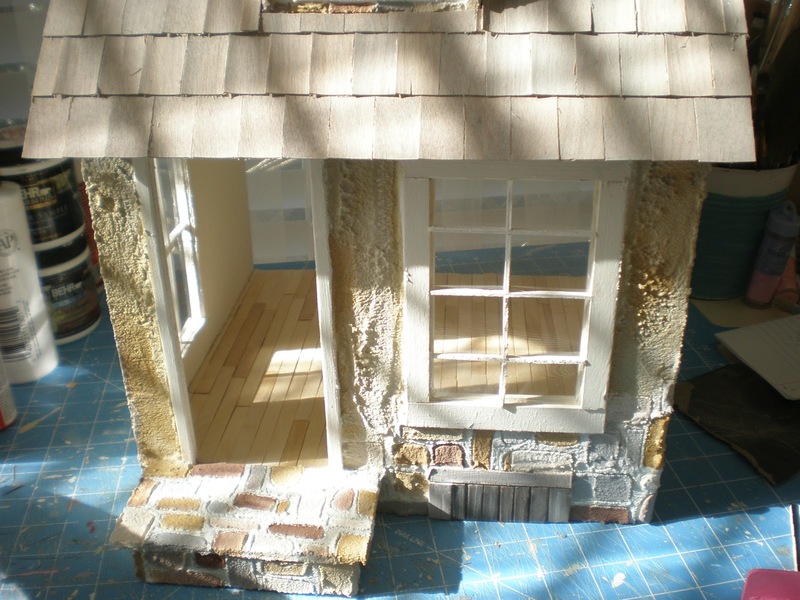 A bit of progress on humble cottage. 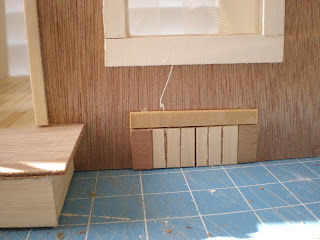 I made a fake little basement shutter from bits of left over wood. 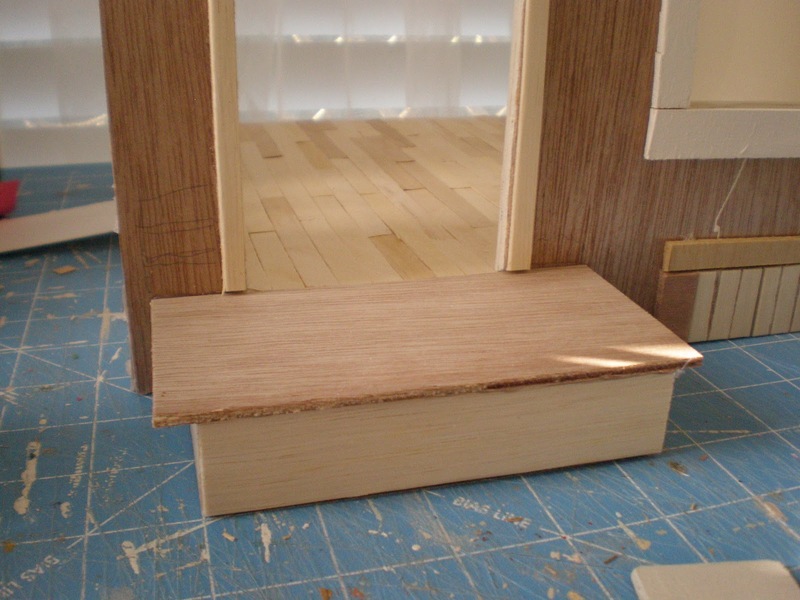 Made a nice size front stoop. 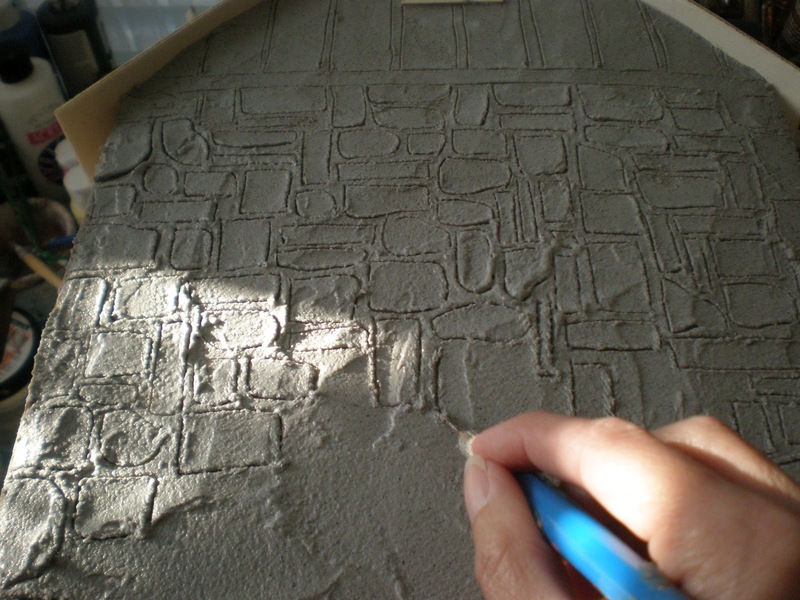 Added concrete and sculpted some stone shapes into it while it was still moist. 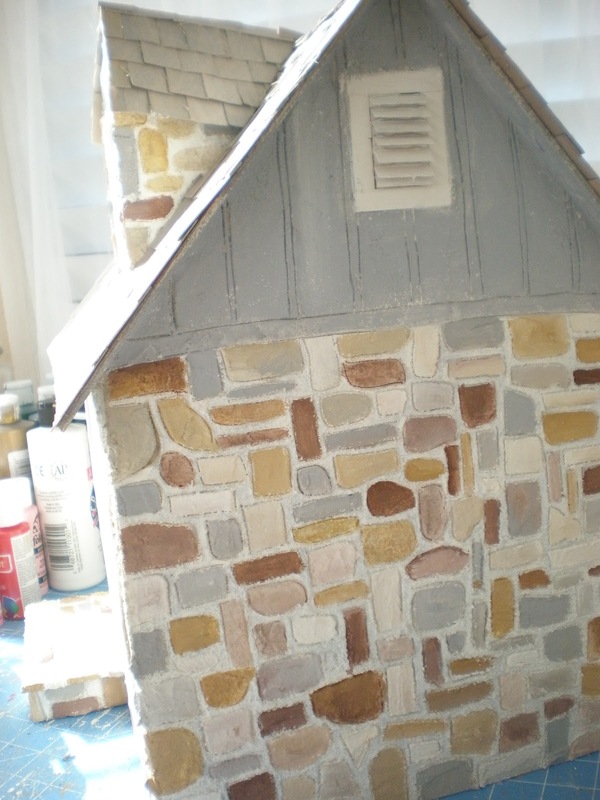 The front is a mix of stones and stucco. All done with the same concrete. 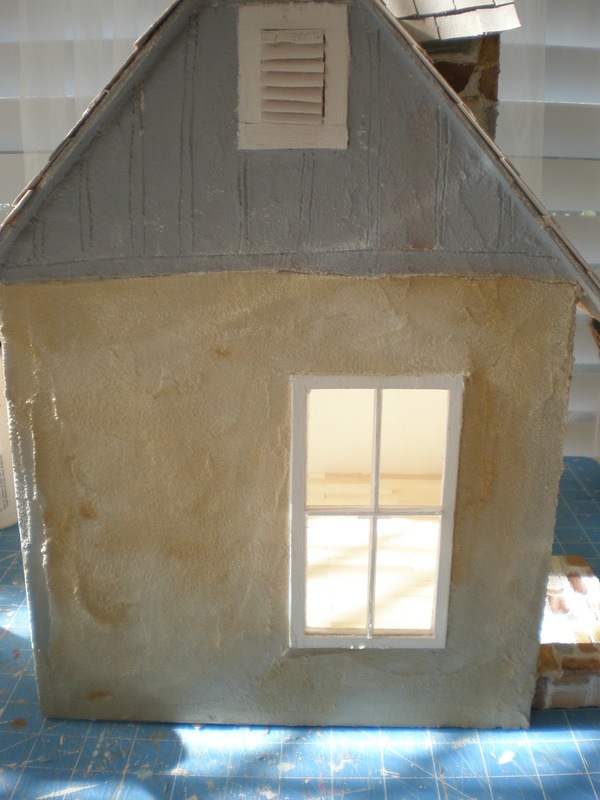 And this side is stucco too. 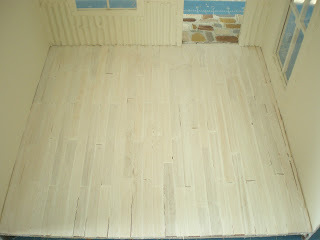 I did the floor white with a lot of water to thin it out. I was only going to do one wall of roses, but things change! For the door, I used hot glue to outline a design. 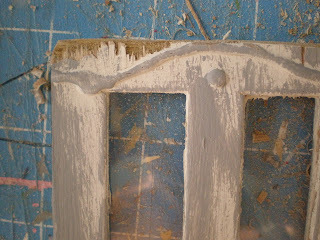 Then painted it cream and accented with gray. 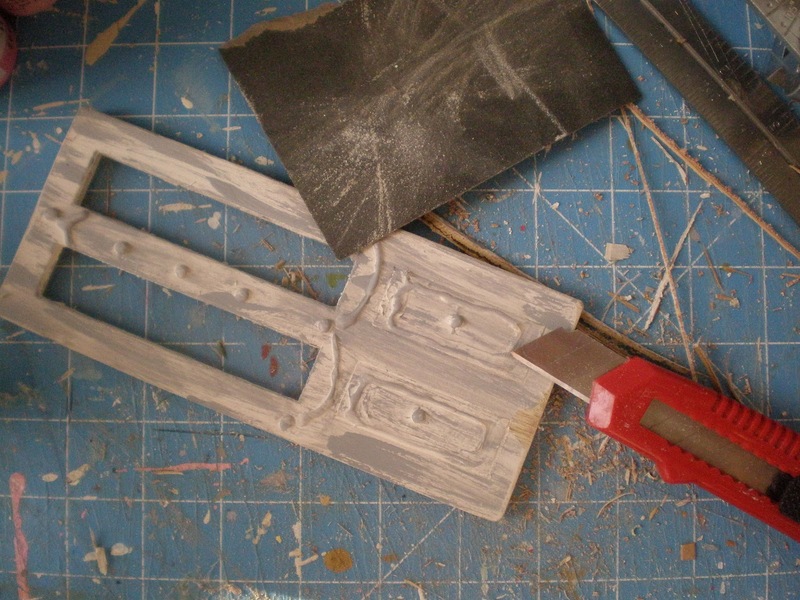 I then took a utility knife and sandpaper to super age it. The top of the outside turned out great with this nice chunk coming off. 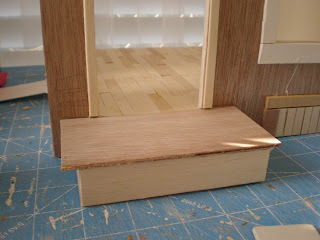 I have to hinge the door in place and add knobs. Then maybe a bit more aging. Thanks for coming over! I like all the doors of your houses! Wat een leuk idee om zo een stenen muur te maken. Het wordt een mooi geheel. Looks really good! 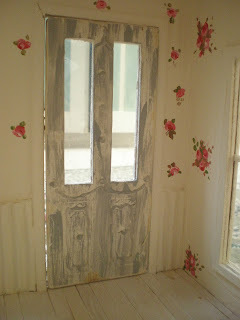 Mostly I like the idea of decorating the door! Your new cottage is getting amazing! The finish of the walls look great! 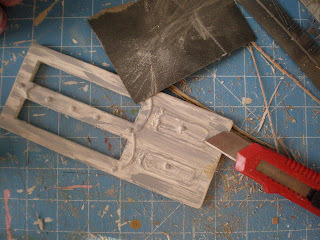 Love how you used the hot glue to make a design. I have never thought of that, totally brilliant. Looking forward to seeing how she all turns out. Oh wow it's looking wonderful Caroline!! 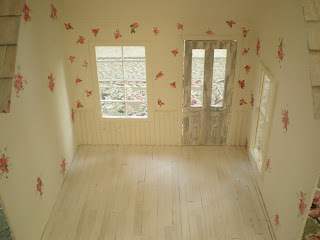 I really love the roses and the flooring is gorgeous!!! Fantastic! I like the painted stones and the roses on interior walls. The painted stones is wonderful. I love the door fantastic. The wallpaper? painted roses? is gorgeous. LOVE!!! 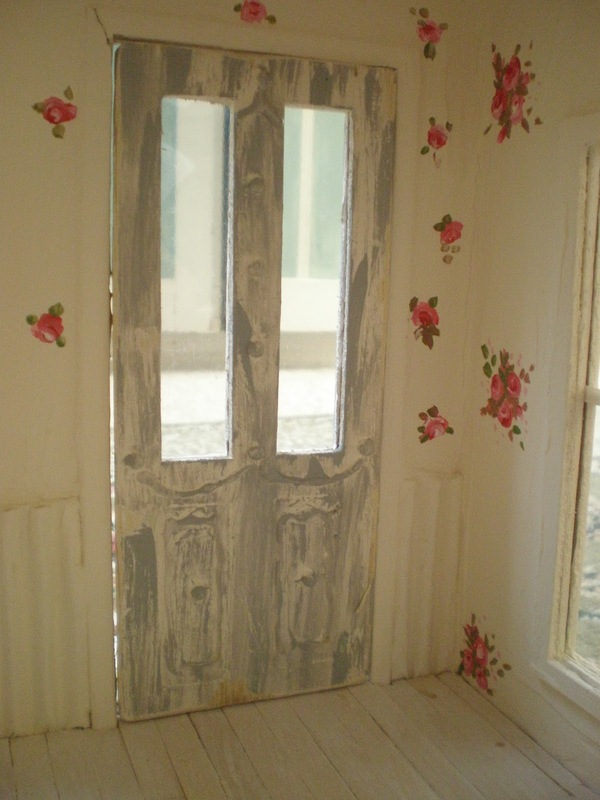 as always you did a great job, I haven't seen a cottage made by you that I didn't want to move in to :) Love the roses on the wall and the aged door, they compliment each other perfectly!! I love the painted stones. 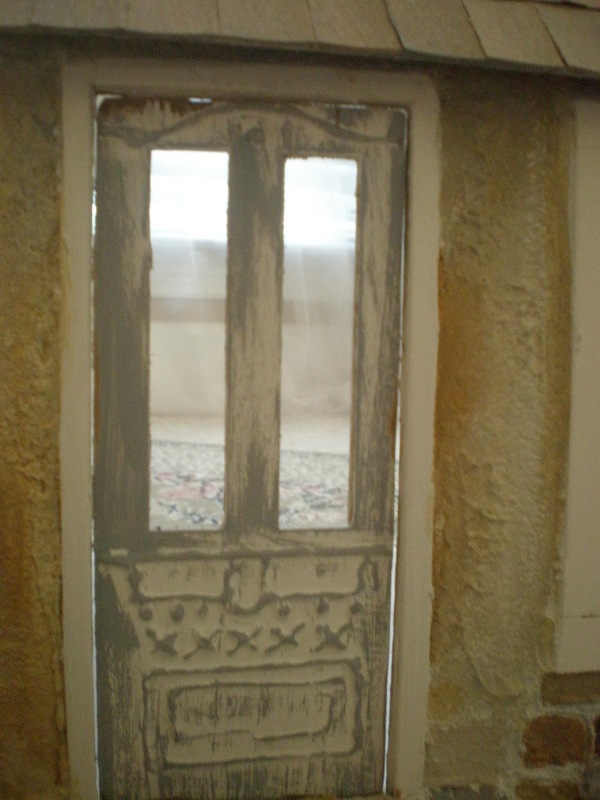 You are so patient,hinging doors?!! The roses are a lovely soft touch. I love what you did to the door. Looking forward to the finished product! This is going to be a very special house. Your ideas are wonderful, especially the door and stones. Cada vez que te visito, aprendo muchas cosas....gracias!!!! Me encanta seguirte los pasos, esta quedando preciosa. Oh my goodness! This is amazing! I am swooning over the stone wall and that gorgeous door!